Kim Cooley attended the Black Bottom historical marker meeting. Her grandfather owned a restaurant on Hastings street. The physical remnants of Black Bottom Detroit are almost non-existent, but the mental memories are forever embedded into the mind of those who once lived there, descendants, historians, and anyone interested. 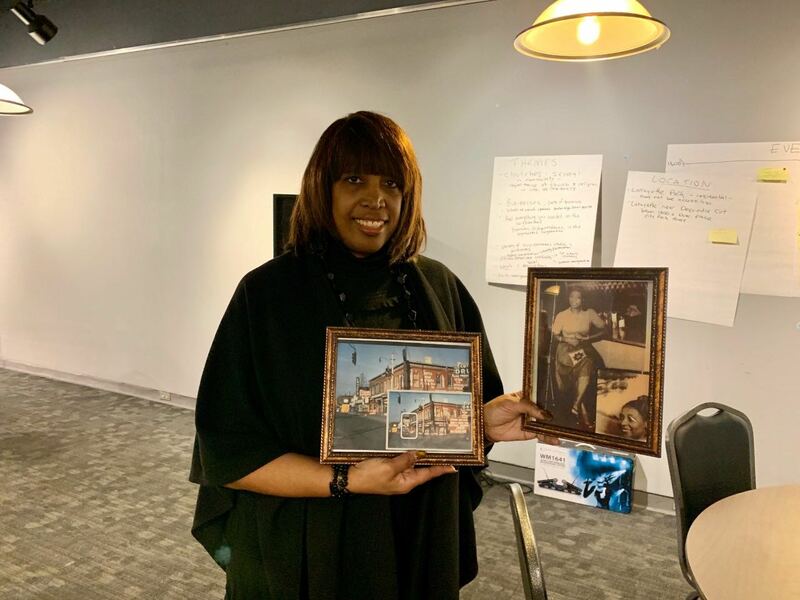 Close to 50 of them gathered inside the Detroit Historical Museum Monday night to brainstorm and discuss a location for a potential Michigan historical marker for the historical black neighborhood. Black Bottom was a predominantly black neighborhood demolished in the 1960s for the I-375 and I-75 freeways, and mixed-income development, Lafayette Park. Once home to an Eastern European Jewish community, it and the neighboring Paradise Valley district became a hub of black-owned businesses and featured a nationally known music scene. Some of Black Bottom’s prominent residents included former Mayor Coleman A. Young, Berry Gordy, Dr. Ossian Sweet, Sugar Ray Robinson, Malcolm X, Joe Louis, entertainer Della Reese and many others. At the community meeting, officials collected data on relevant people, dates, places, books, documentaries, and other pertinent information that could be used to place on the marker. They also gathered information on a location of the marker. Black Bottom’s boundaries were considered to be Brush street to the west, Gratiot to the north, the Dequindre Cut or McDougall street to the east, and Jefferson to the south. The mapping of the neighborhood and other facts vary depending on who you talk to, which is why placement and wording has been difficult. A photo of Kim Cooley grandfather’s restaurant on Black Bottom Detroit. But, Jamon Jordan, local historian and tour leader for the Black Scroll Network, has been at all of the meetings and has helped the process press forward as smoothly as possible. While there were a number of historians, storytellers, and professors in the room, one descendant of a Black Bottom resident stole the show. Kimberly Cooley brought actual photos of her grandfather’s restaurant to the meeting. He owned Carl’s Shrimp House on Hastings street, which was the main commercial strip lined with black-owned businsesses. It was razed, along with thousands of other businesses, church, and homes due to what the city officials then called urban renewal. Cooley told a funny story of why the sign on her grandfather’s restaurant read “chicken and shrimps.” Before he married her grandmother, he was married to a woman named Hazel. The store was named after her, “Hazel’s Chicken Shack.” While changing the name and sign to Carl’s Shrimp House, the workers were supposed to cover the word shack, leave the word chicken, and replace Hazel’s with the word shrimp. But they failed to remove the “s” and therefore the signed always read “shrimps.” Cooley said she plan to open a restaurant named in honor of Hastings street. 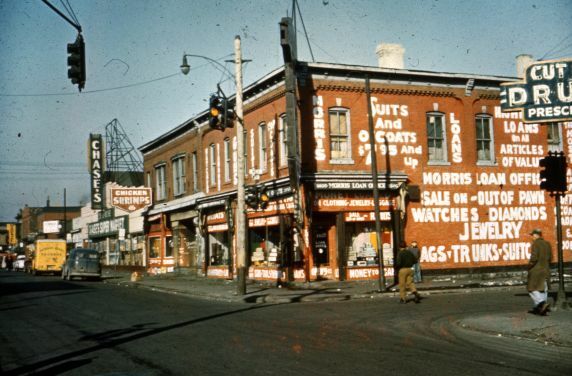 In 1942, the Detroit Urban League reported that within Black Bottom and Paradise Valley there were over 300 black-owned businesses, which included physicians, barber shops, hair salons, hotels, drug stores, and more. Boyd and her team said they would gather all of the information that was gathered on Monday night, do some extensive research, and determine the next steps for the historical marker, including another community meeting at a later date.